To make the world a better place, it takes consistent acts of kindness and positive contributions, and that is exactly what SkyWest employees do on a daily basis! 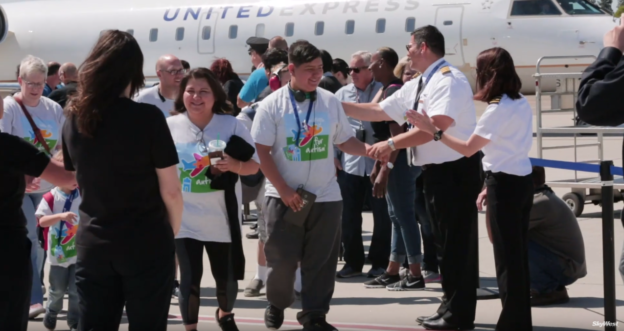 Whether they are volunteering their time to fly toys to children’s hospitals, or working at the local food bank – SkyWest employees are making magic happen. To recap the great year we had in our communities, we made a video highlighting some of the events we participated in! Including Wings for Autism, Fantasy Flight, Aviation Day, Bring our Kids to Work Day, Mini Indy and a Habitat for Humanity home build. Here’s to another year of giving from the SkyWest team in 2019! Read more stories about SkyWest people making a difference. Interested in joining the SkyWest team? Apply today!